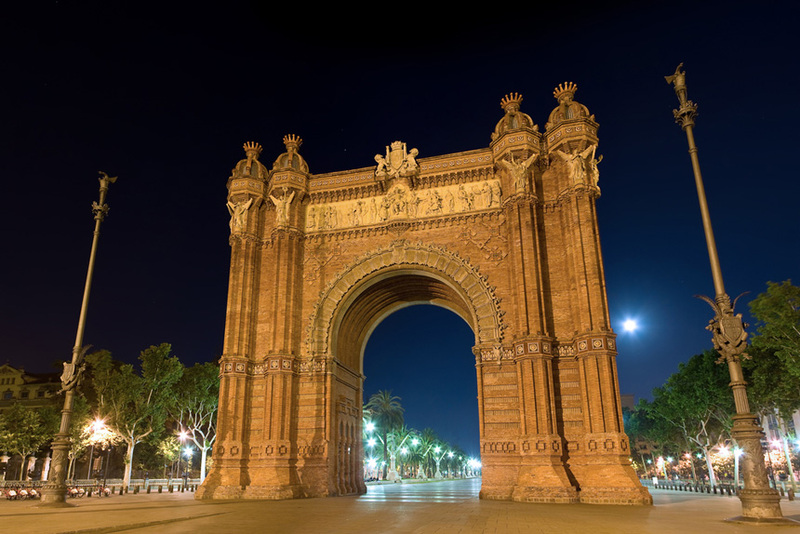 Many a tourist or wannabe expat has experienced landing in what is considered a quintessentially Spanish city, Barcelona, only to find that people there aren’t speaking Spanish and often don’t even identify themselves as Spanish. Welcome to Catalonia. After centuries as a prominent kingdom in its own right and with its own language, Catalan, the region of Catalonia has struggled throughout its modern history in its relationship with Spain as a whole. 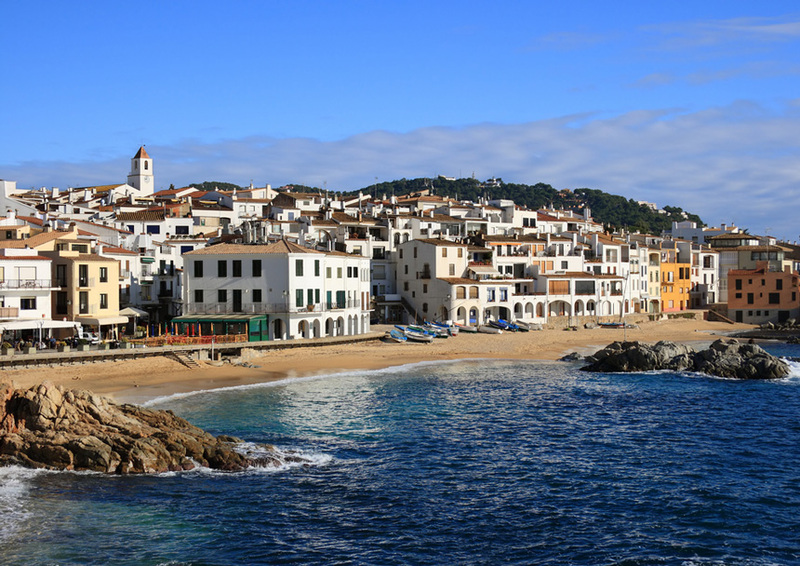 The autonomous community of Catalonia – a triangle-shaped area wedged between the Pyrenees and Spain’s eastern coast – has just over 7 million inhabitants. Geographically, it moves from beautiful beaches with crystalline waters in a Mediterranean climate to snow-topped mountain peaks. Its cultural boundaries, however, extend past Valencia to the south and out to the Balearic Islands and Andorra and across the border into France. Not surprising for a linguistic minority whose cultural independence was suppressed to greater or lesser degrees for centuries, the history of Catalonia is sometimes given short shrift within the history of Spain. Closely tied through marriage to the crown of Aragon, and benefiting from its ideal coastal location, Catalonia was a commercial empire extending, at its 14th-century peak, to Sardinia, Sicily, the kingdom of Naples and parts of Anatolia and Greece. In 1380, the guards protecting the Parthenon in Athens were Catalan. The 1469 marriage of Isabel of Castile to Ferdinand of Aragon (under whom fell the region of Catalonia) was a turning point for Catalan history. The Catholic monarchs shifted the center of trade and power away from Barcelona and the Mediterranean, toward the Atlantic and the new trade empire opened up by Christopher Columbus. When the Spanish War of Succession ended in the early 1700s, the new Bourbon king, Phillip V, abolished many of the Catalans’ local privileges, dismantling their institutions, centralizing power in Castile and starting a campaign against the Catalan language. He also plopped 30,000 Castilian troops down in the middle of Barcelona just for good measure. Catalan cultural and political aspirations recovered somewhat in the 19th century as Catalonia industrialized. The economic boom, along with the new proletariat it spawned, turned Catalonia into a hotbed of left-wing political activity and Catalan nationalism. Under the dictatorship of Miguel Primo de Rivera (1923–1930), however, the Catalans would again suffer a setback, with their political autonomy and language suppressed. In the period after Primo de Rivera, Catalonia once more made strides toward independence. The next setback came after the Spanish Civil War when, under Francisco Franco, Catalan autonomy and language were once again stripped away. Teaching the local language was outlawed, Catalan regional history erased from curricula, Catalan books removed from libraries, Catalan administrative documents nullified and Castilian required by law in public functions. Despite a resurgence of Catalan culture and language since Franco’s days, the tension between Catalonia and the rest of Spain exists to this day. Certain Catalonian festivals are well-known even outside the region, including St. Jordi’s Day. St. Jordi (the Catalan name for St. George, the dragon slayer) is the patron saint of Aragon and thereby associated historically with parts of Catalonia. His day (on April 23) has become increasingly popular in the Catalonia/Aragon region, typically celebrated with an exchange of gifts between lovers, a sort of Valentine’s Day. Traditionally, men give women roses and women give men books. It has grown so much that Catalan booksellers do the bulk of their yearly sales around the holiday. The Festes de Merce (Festivals of Mercy) in Barcelona are also popular. Beginning on September 24, the festivities run over a few days and can comprise hundreds of events across the city. Firework- and sparkler-laden “demons” known as correfocs parade through the streets, as do giant-headed figures or gigantes. It’s a good opportunity to try cava – Catalonia (and Spain’s) version of champagne. A typical part of such popular festivals all over Catalonia are the castells, recognized by UNESCO on its Representative List of the Intangible Cultural Heritage of Humanity. The castells are teams of pseudo-acrobatic daredevils or castellers who form large human towers that can reach several stories high. The Catalans have also given Spain one of its oddest Christmas traditions: El Caganer, an irreverent figure found in every good Spanish nativity scene. You’ll know him because he’s the little peasant man, usually in a red cap, mischievously having a poop off in the corner. Strange, indeed! In a similarly feces-focused vein, the Caga Tio – a hollowed-out, decorated log filled with candy and goodies that is beaten, piñata-style until it “poops” out its treasure – is another Catalan tradition. Catalonia draws a lot of immigrants. 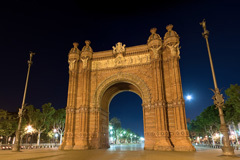 Barcelona is up there with Madrid as a top destination for immigrants, with about 16% of the total population – or around 1.2 million people – being foreign born. The largest groups, as with most of the country overall, are Moroccans, Ecuadorians and Romanians, with a smattering of people from Pakistan, China and various Latin American countries. The Catalonia region had the fastest immigrant growth in Spain for much of the last decade, and 3 of every 4 new Catalans are foreign-born. The economic benefits of Catalonia make mass immigration a no-brainer, but the special character of Catalan nationalism and linguistic differences complicate the immigrant experience. There are many who feel that immigrants, who usually arrive not knowing Catalan, are a threat to the resurgence of Catalan language. Debate rages among political groups over to what extent immigrants should be required to learn Catalan or to educate their children in Catalan (there is currently a choice for parents). Language is obviously a factor to consider when thinking about moving to Catalonia. The best thing to do is thoroughly research your employment or study plans beforehand. Don’t assume Spanish will be fine. As common sense would dictate, learning Catalan basics will make life easier and definitely endear you to locals who value their cultural heritage. In general, finding work in Spain is tough, and in Catalonia language barriers can make a job search doubly complicated. Anything in the public sector will require Catalan, by law. The business world as well communicates mostly in the local language, so basics are almost a must. Employers will want to know you can at least get by in Catalan. Unless you’re in an industry that particularly favors English speakers, you will be competing against a largely bilingual population who will have a clear advantage over you in that regard. Those planning to teach English can get by on relatively little in terms of language. For English teachers, job sites like Loquo.com and specialized teaching sites like Lingobongo.com have plenty of listings to get you started. Since the tourist who comes prepared with Catalan is quite a rarity, tourism jobs such as bar work in coastal towns or ski resorts in the Pyrenees also favor those with some (even minimal) Spanish as well as English. 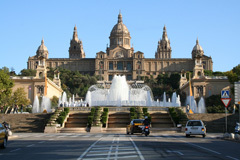 Students studying abroad in Barcelona will have problems if they expect instruction in Spanish. The proportion of instruction in Catalan in higher education can range from most to all, and prospective students should take this into account and prepare accordingly. Luckily, because of Catalan’s similarities to Spanish, a solid Spanish-speaker should be able to learn Catalan quickly enough to at least be able to understand their lecturers. Life in Barcelona is like life in any big European city – more vibrant, more crowded, more expensive, more varied than its more rural counterparts. This is still Spain, though, so it’s cheaper to live in than many U.S. or European cities. However, Catalonia in general and Barcelona in particular, are more expensive than most of the rest of Spain. Housing is the biggest expense, while basics like food and utilities are reasonably affordable. 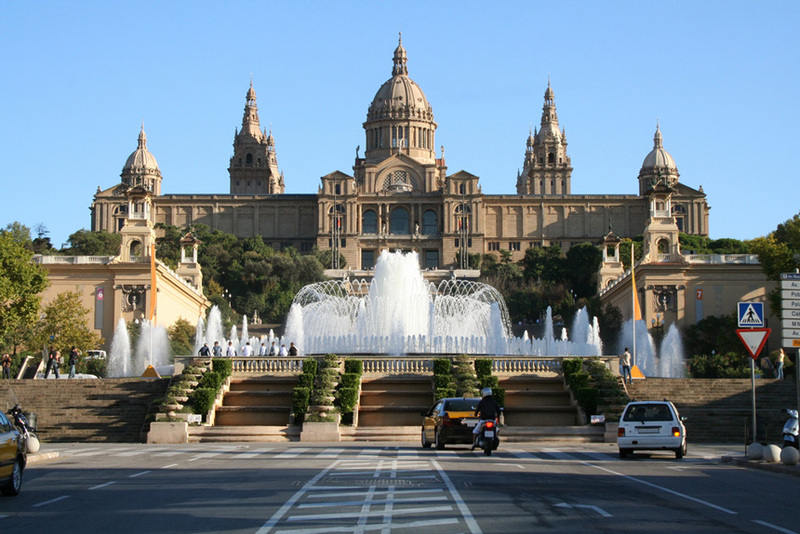 Though Barcelona isn’t Spain’s capital, it’s often recognized as the country’s first city in terms of cultural and artistic life, and many agree that it has a more cosmopolitan feel than Madrid. Barcelona isn’t the only city to consider, though. 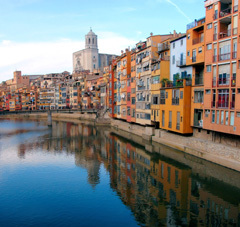 Girona, a small, beautiful city to the north boasts Roman roots and Moorish and Jewish influences. Tarragona is even more thoroughly Roman in its formation and provides easy access to coastal areas. Lleida, a provincial capital toward the interior of Catalonia, has a new airport that presages busier times ahead. 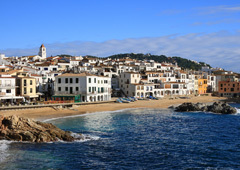 Sitges, a good-sized town on the Costa Brava is famous for its beaches and has a large expat community. Getting around is easy thanks to good, relatively inexpensive trains and well maintained roads. Barcelona has an efficient metro system and buses, and from there it’s easy to get to the region’s beaches, mountains and countryside. Many people who visit or move to the area find the Catalan people to be warm and welcoming, but there are just as many anecdotes from expats who say they’ve been treated harshly for not speaking Catalan. The cultural landscape is understandably complicated, and one should be prepared for strong, even strident, opinions on all sides. The best approach is to educate yourself and try to stay open minded while you orient yourself.